I hope everyone had a good weekend! 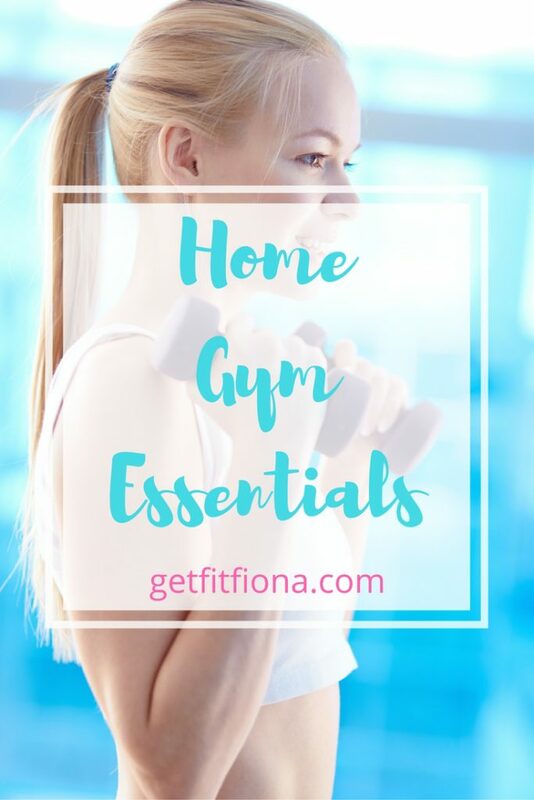 This morning I’m going to be sharing what I think are home gym essentials. Getting in good workouts at home doesn’t mean that you have to spend a lot of money on equipment. With a few pieces of well thought out equipment you can get in a gym quality workout without leaving the house. Exercise ball // The first item on my list is an exercise ball because it’s so versatile – you can do so much with it. First off, it can be used as a stand in for a bench for everything from chest flyes to chest press. Although you can also do these exercises on the floor, I think using an exercise ball instead gives you a slightly larger range of motion as well as having to keep your core engaged. Exercise balls are also great for stretching. There’s several different sizes of exercise balls, so make sure you check out the manufacturer’s recommendations for which size to get (it usually goes according to height). This one (affiliate link) on Amazon is similar to the ones at the university gym. A set of light, medium, and heavy dumbbells // You definitely don’t need an entire rack of dumbbells like you see at the gym to get in a great workout at home. As long as you have a few weight options for different exercises, you’re good. I personally like neoprene coated dumbbells (affiliate link) because I feel like I get a better grip even when my hands get sweaty. 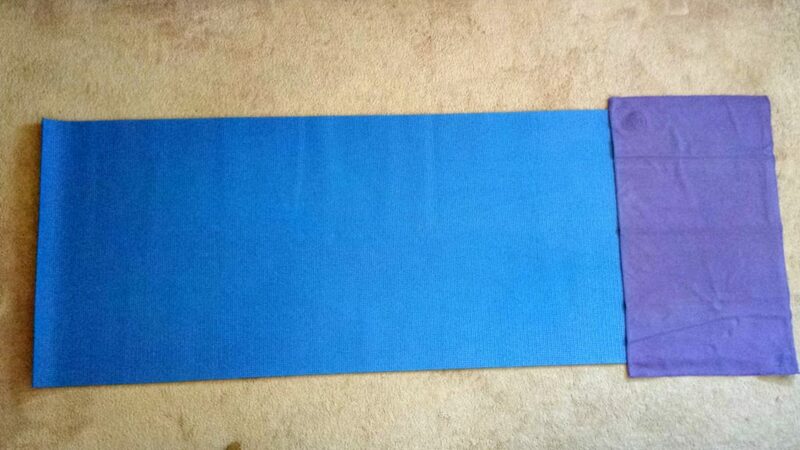 Yoga mat // If you’re going to be working out on a hard surface (wood or tile), I’d recommend a good yoga mat. It takes the edge off how hard the floor can be. 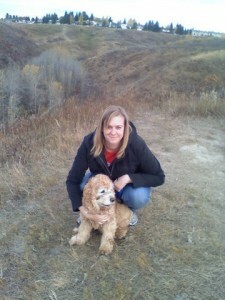 In addition I find that I get better traction – especially when I’m on carpet and I start to get a bit sweaty. 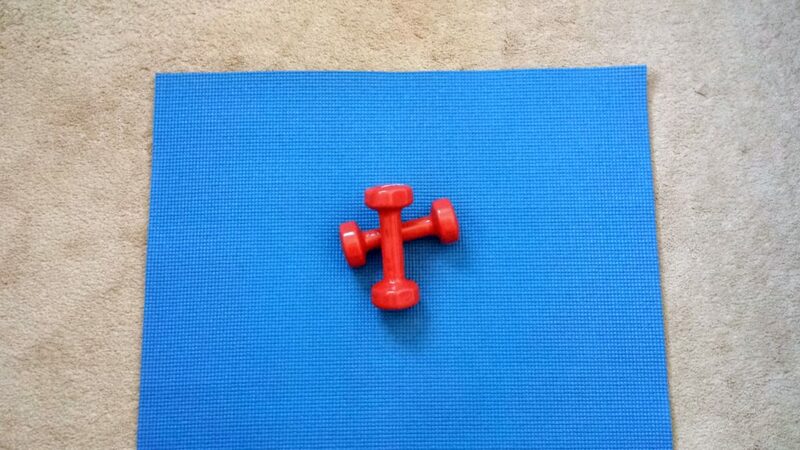 When you’re done with your workout it’s easy enough to roll up the mat and store it. The next yoga mat I get will be this one (affiliate link) from Manduka. 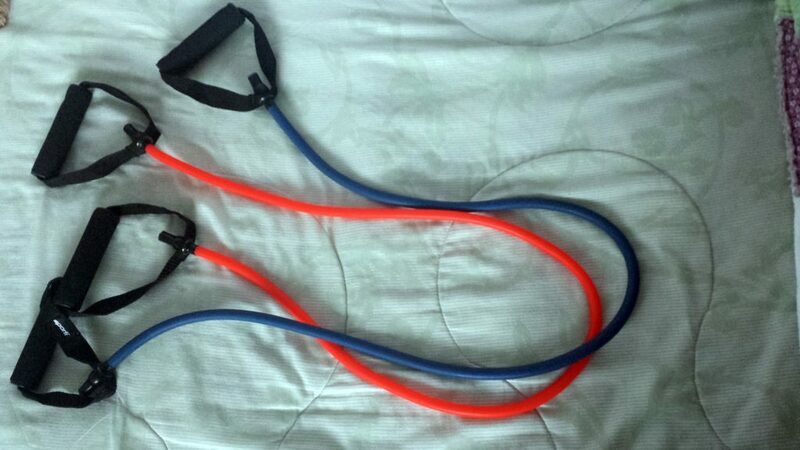 Resistance bands // If you’re short on space and can’t have dumbbells, resistance bands are a great alternative. They can vary from light to heavy resistance with lots of options between. They’re great for doing all kinds of exercises, and I’m always learning new ways of using them. They’re also great if you travel, as they’re easy to put into a suitcase and don’t weigh much or take up a lot of room. Because they’re elastic and stretchy, be sure to check them every once in awhile to make sure they’re in good shape. If they become dry or have tears in them it’s not worth the risk of using them – buy another one. These ones (affiliate link) are similar to the ones I have. The internet // Of course if you’re working out at home it can get boring quick if you do the same workouts all the time. Luckily there’s lots of workouts on blogs, Pinterest (check out my workout board), and Youtube. 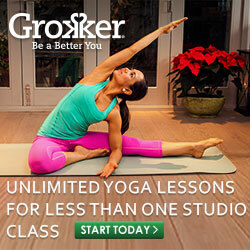 No matter what you like to do – from strength training to yoga – you can find workouts online. 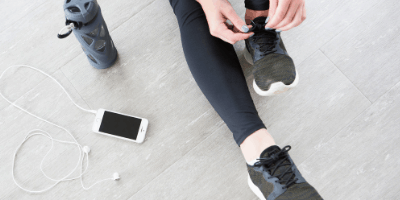 What do you use at home to workout that you consider an essential piece of equipment? All great finds! I have a band that I travel with, it’s perfect for getting a workout done in hotel rooms. Even the simple workouts with not a lot lot of equipment can get you a great workout. Thanks for sharing. I often delayed exercise at home, this is a great way.